Fairhead is an expansive mass of dolerite situated on the N.East coast of Northern Ireland. It is comprised of vast vertical walls, columns, soaring corners and crack systems. Generally the rock quality is very good but occasionally one can find a loose block or dirty corner, but seldom on the popular routes. 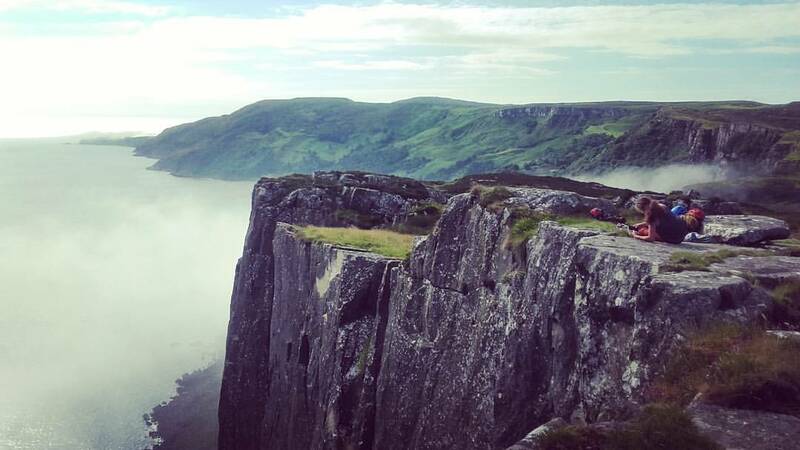 Fairhead is a trad climber’s paradise where quite often you may have the entire crag to yourself. Fairhead is expansive, remote and quiet (with the exception of the annual Fairhead meet). 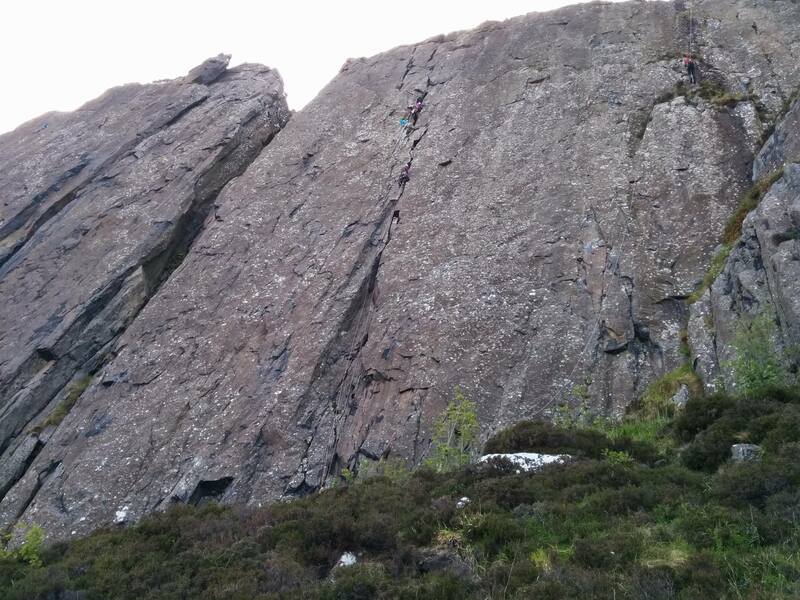 It is not uncommon to be the only party on the crag for it’s entire length. With this in mind it is a venue that requires a solid traditional climbing skill set and a positive attitude. 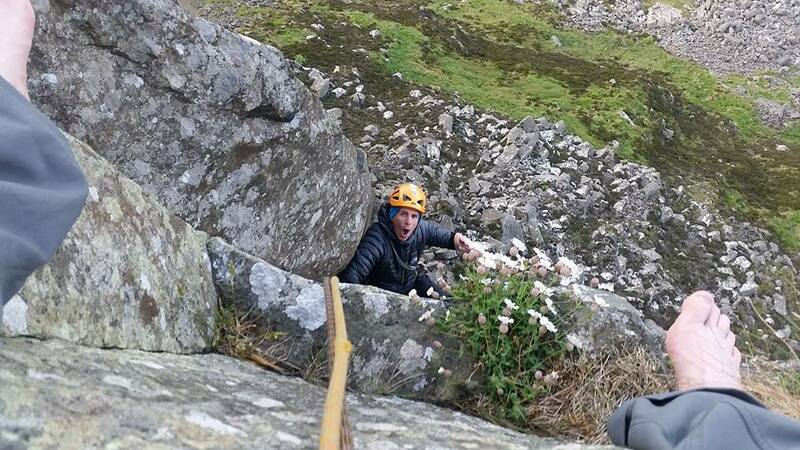 Fairhead may not have the height or grandeur of other world famous crags but the quality of the routes, the sustained nature, the situation and the possibility that you may be the only party on the crag means you are guaranteed a visit you will never forget. The first question is where to start? For the first time visitor I would suggest The Prow as there are *** routes from VS upwards that take ample gear and introduce one to the art of jamming. The routes a vertical, sustained and well protected so get your jam on, stick in the gear and give it socks. There are a selection of VS multipitch routes at different locations on the crag and these are worthy of attention also. If things are going swimmingly and one wants to test the water then there are some classic HVS routes that will supply said challenge. 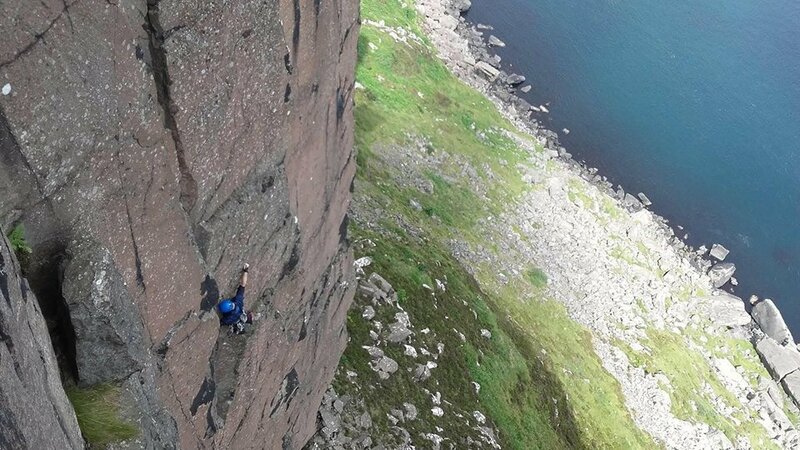 The most popular is Hell’s Kitchen (2 pitch) as it’s accessible from the Ballycastle Decent Gully and it’s a *** corner climb containing a superb final pitch with an intriguing crux. Entering the E1/2 domain then it’s back to The Prow for a selection of *** climbs that are beyond good. My personal favourite is Midnight Cruiser… what a climb! Great gear throughout and the crux comes at the top as one negotiates between two parallel cracks. But you could honestly swing a cat and hit an amazing route. Another superb corner climb is Equinox (E2). Imagine an open book corner with a small roof at mid height that takes ample gear and just keeps on going (2 pitch). This is only one of a selection of mega corners in Fairhead. If one wants something more atmospheric then take a trip to The Grey Man’s Path area and jump on Burn Up at E1 (2 pitch). Possibly one of the most enjoyable routes I’ve climbed on with great positions and a layback crux right at the top (save your biggest cams!). Or walk a little distance further up the crag and jump on Toby Jug and eye up The Brasser and Sandpiper…. if you dare. Or if you really want to get your ‘jam on’ then walk a little further Eastwards and take a look at Hurricane (E2). If you are a dedicated face climber then prepare to suffer, but if are comfortable at jamming you’ll eat this line up. 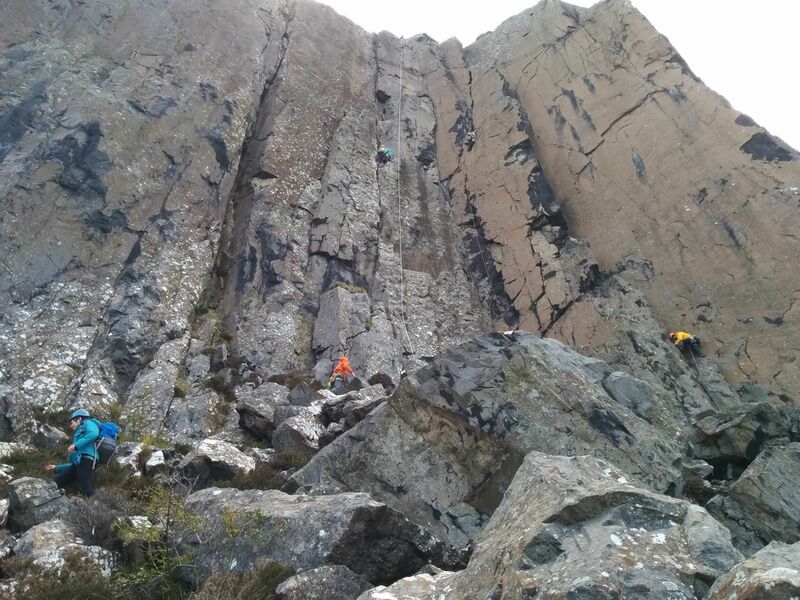 The above are only a fraction of the quality lines at Fairhead…. one could climb there for a life time and not get bored. 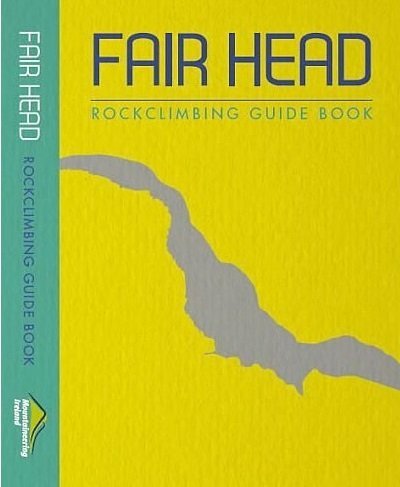 The Fairhead Rockclimbing Guidebook by Ricky Bell and Craig Hiller is available from Mountaineering Ireland and outdoor retailers. 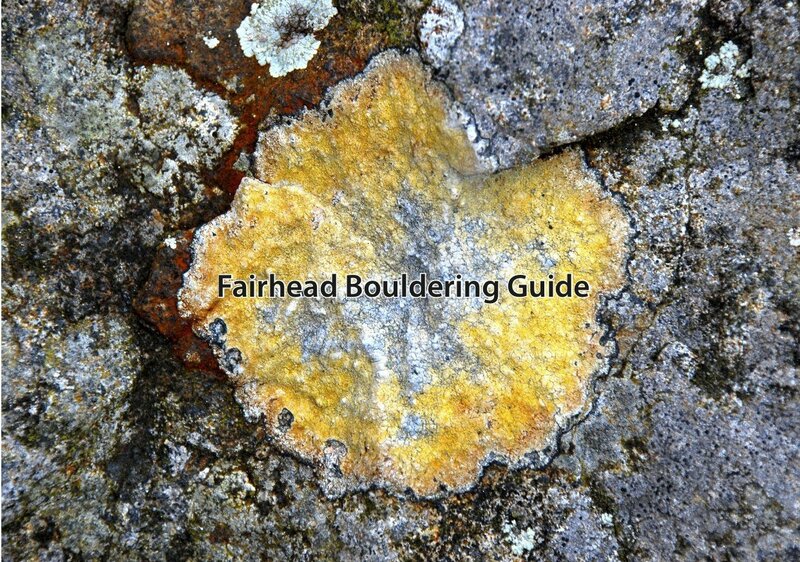 The Fairhead Bouldering Guide by Rob and Veronica Hunter is available from Mountaineering Ireland and outdoor retailers. Gear: Double up on nuts, don’t be shy about digging the larger hexes out of the wardrobe, double up on cams (especially 1,2,3,4), a couple of slings, krabs and lots and lots of quick draws. Always take a few minutes before starting the route and try to decide what will be most useful and efficient. Ropes: 60m half ropes are generally best, but a single 60m can be used on The Prow. Abseil Rope: 50m for The Prow (a 50 will also get you to the base of other routes further down the crag if you use a dedicated static rigging line to accompany the 50 – but be super cautions and make sure the rope hits the deck). A 100m static is best for the middle section of the crag as it’s a nightmare walking the base as it’s covered in ferns and hidden blocks. Access: If one uses The Ballycastle Decent Gully and The Grey Man’s Path Gully as access points then it’s relatively easy to locate routes. Anchors: Lots of the routes have large boulders on the top (most courtesy of the local climber friendly farmer Sean) for anchors. Occasionally one will have to use gear but that’s no problem to us as trad climbers. Clothing: The crag is North Facing and often times one could wear a light down jacket at belays during the Summer. Be smart and bring a few layers and possibly a little bag for the second to carry if required. Hints and Tips: There are a couple of skills to master at Fairhead that those familiar to Dalkey and Glendo will not have encountered. Jamming – there are quite a few climbs that require solid jamming for sections but if one is not familiar with the style don’t fret… just get stuck in. Gear Placement: On most routes one could place two racks of gear!! 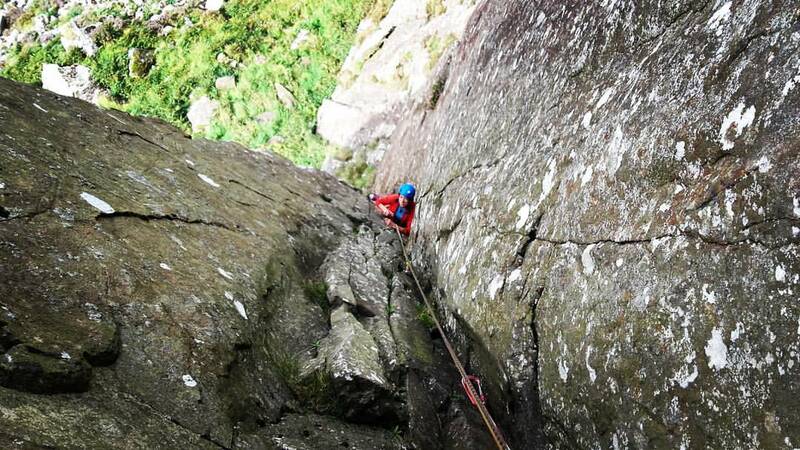 This is beneficial in a way as the route is safer (I would argue safer than Dalkey) but a real Fairhead skill is to know when to place gear and when to run it out above good (excellent) gear. If one is stopping every meter to place gear than the likelihood of getting pumped is 100% guaranteed….. develop a critical eye and your grade will jump. 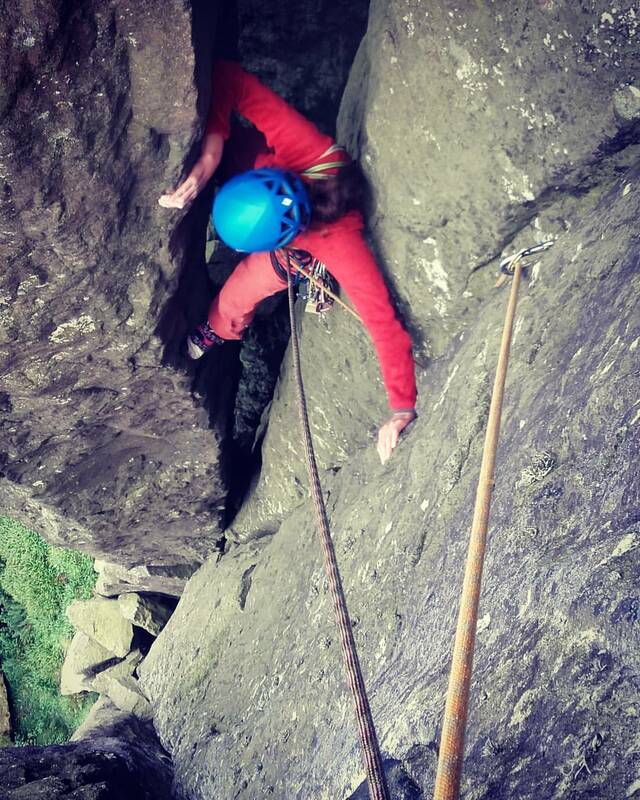 When to visit: Ideally one needs to be leading at VS/HVS for the crag to start to open up. But there is never a ‘right’ time for a first visit…. even if one is starting out I would suggest a visit is worthwhile just to walk the crag and take in the spectacular views (on a nice day). 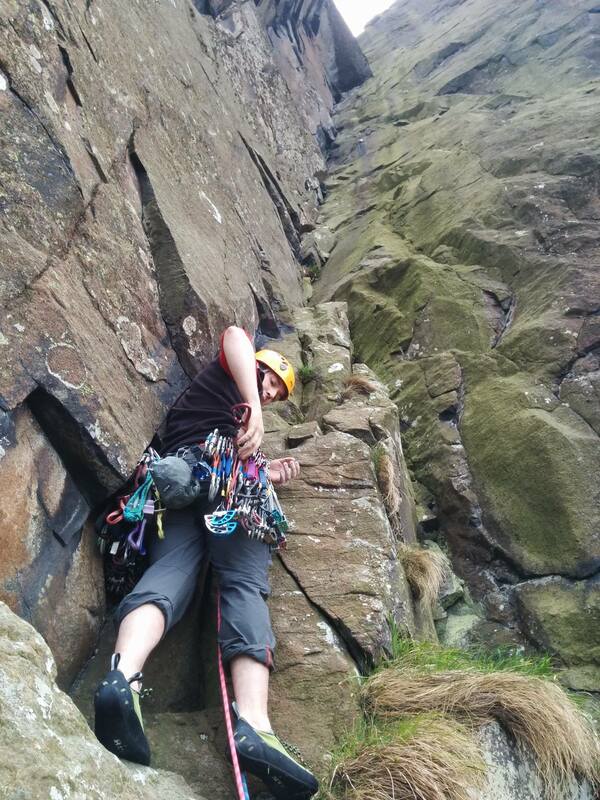 Don’t let the size and scale of the crag become the first hurdle…. And finally…. take time to look at the environment as it’s a stunning place. Be safe but be bold.